Candles ~ Black Tie Stripes & Spots are a stylish finish to a celebration cake or cupcake. The simple patterns make them suitable to many party themes. 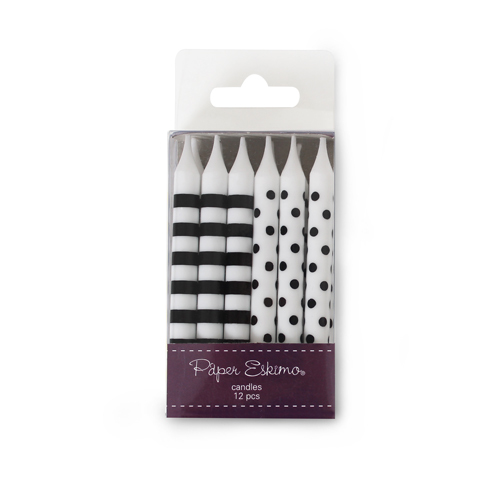 Pack size: 12 candles with a mix of stripes and spots.